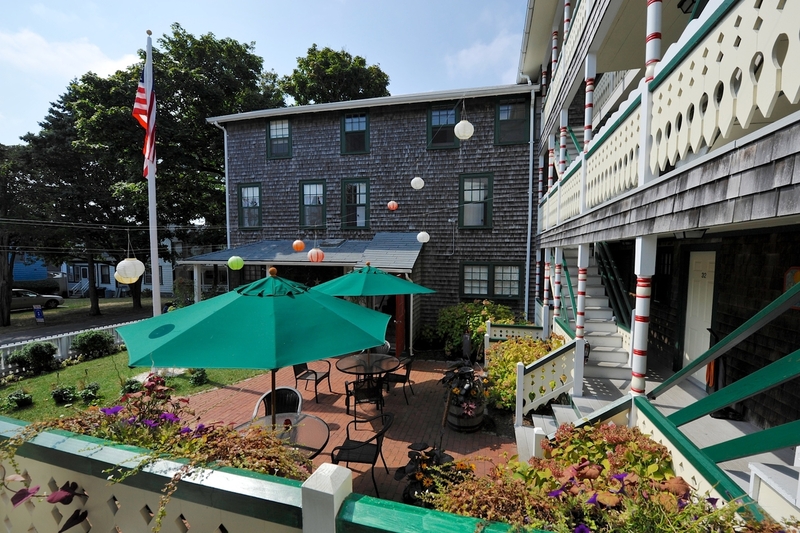 The Pequot is a quaint and welcoming 32-room hotel in the historic seaside town of Oak Bluffs on Martha’s Vineyard. 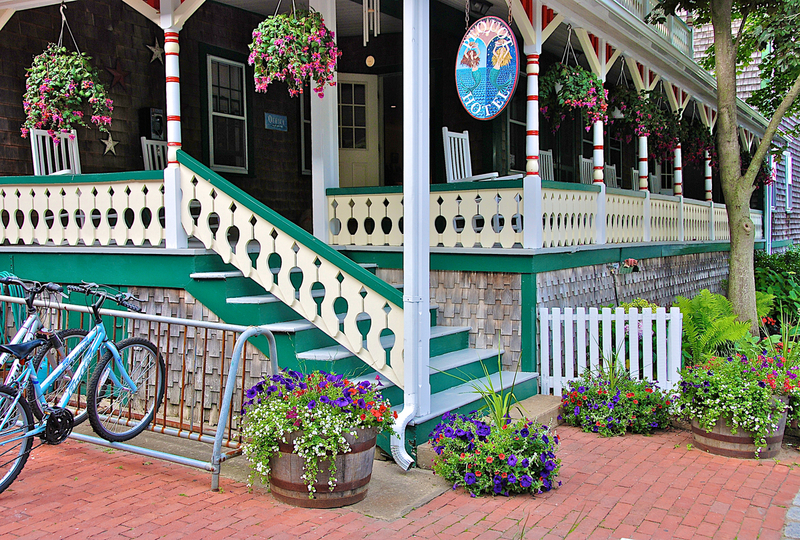 Step off the ferry, walk a few blocks along the waterfront past Ocean Park, and find yourself on a peaceful side street at the Pequot Hotel. You’ll feel right at home as you step up on the front porch lined with rocking chairs. Come inside and enjoy a fresh-baked chocolate chip cookie while checking in. Exhale. You’ve arrived! 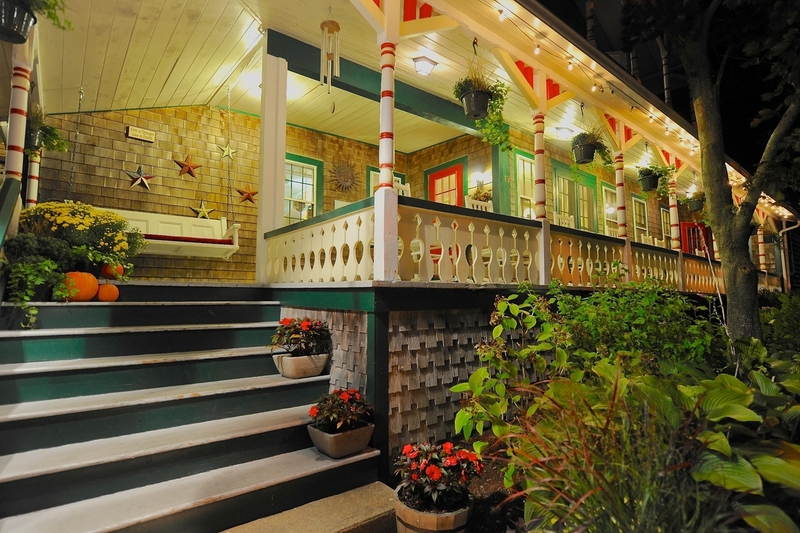 The Pequot — at the sign of the twin mermaids — has been welcoming guests since 1914. 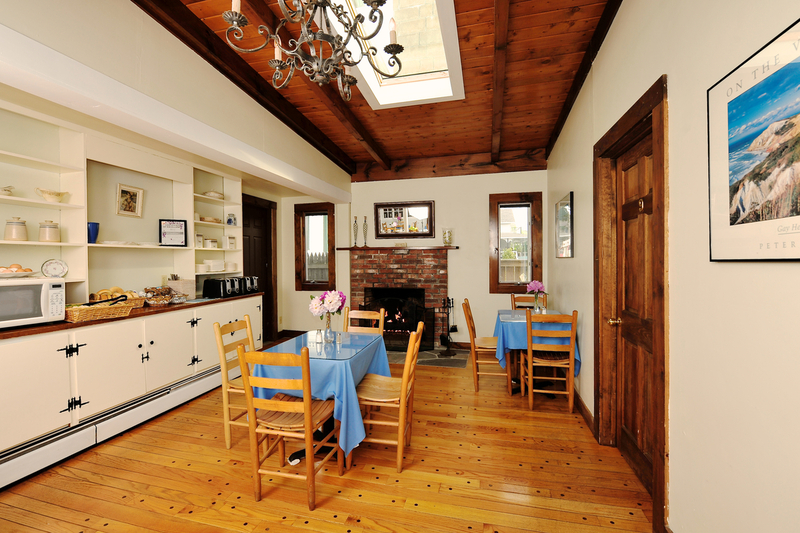 The location is ideal: nestled in a historic “gingerbread” neighborhood yet just a block-and-a-half from the town beach and bike path. It’s also an easy 5-10 walk to the bustle of downtown shops, restaurants, and the famous Flying Horses Carousel, where you might be so lucky as to grab the brass ring. 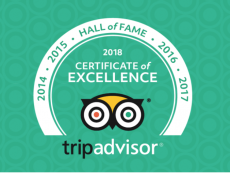 All this makes the Pequot an ideal spot for families, couples, wedding groups, or anyone wishing to experience the warm and relaxed hospitality of Martha’s Vineyard. 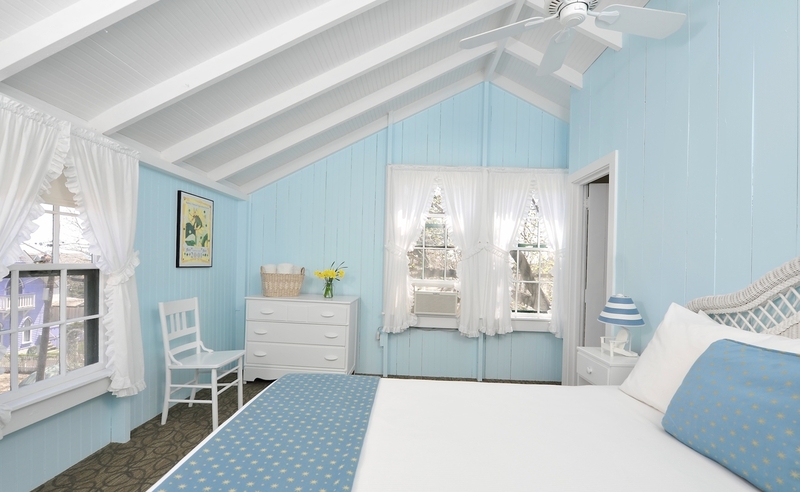 Decorated in casual cottage style with an array of historic Oak Bluffs photographs adorning walls at every turn, the Pequot will feel like your island home. Thirty-two rooms of varying sizes and configurations are located in three adjoining sections of the building surrounding a central brick courtyard. 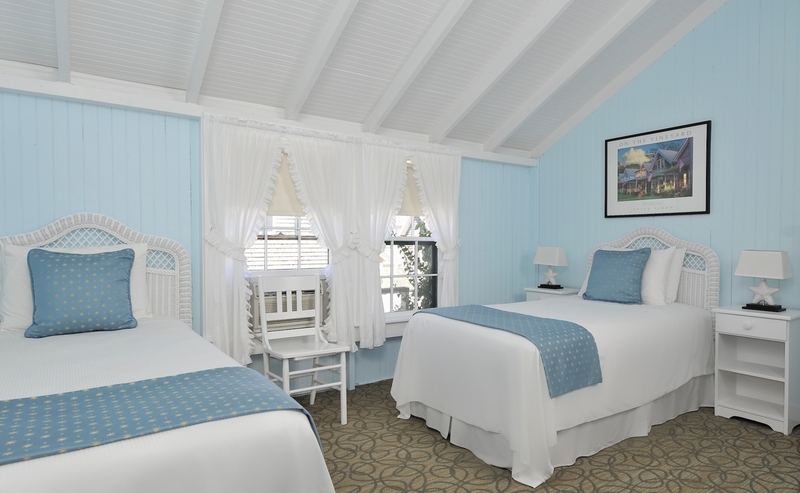 All rooms have private baths, air conditioning and wireless internet service. A 3-bedroom apartment with kitchen is also available. 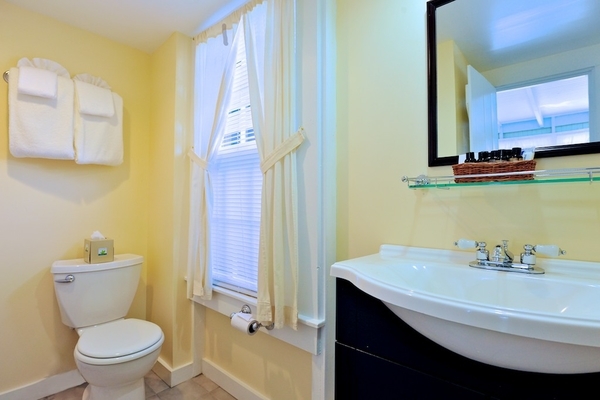 All accommodations except our most economical “annex” rooms have flat-screen TVs. There is a larger TV for special occasions (or rare rainy days) in our common/breakfast room and a computer for guest use just off the lobby. Each morning, you’ll wake to the aroma of fresh baked muffins and the casual pleasure of a self-serve continental breakfast in the main house. Coffee and an assortment of teas are available anytime, all day long. Fresh flowers are another detail that lend to the gracious homey atmosphere. Other delights include iced tea (with mint from our garden) and chocolate chip cookies in the afternoons. If you’re here on a Friday evening during summer, don’t miss the complimentary wine and cheese party on the porch, where it’s endlessly interesting to mingle with guests and staff from around the country and world — and to compare notes about what brings everyone to Martha’s Vineyard! Lovely location and casual comfort aside, it’s really the warm and genuine staff that make the Pequot what it is. From the moment you walk in the door, Manager Lisa and her team will do everything possible to make you comfortable and to provide expert local knowledge and assistance during your stay. Need us to arrange a bike rental and delivery for you? Where to find the best sunset or the best seafood dinner? Just ask. 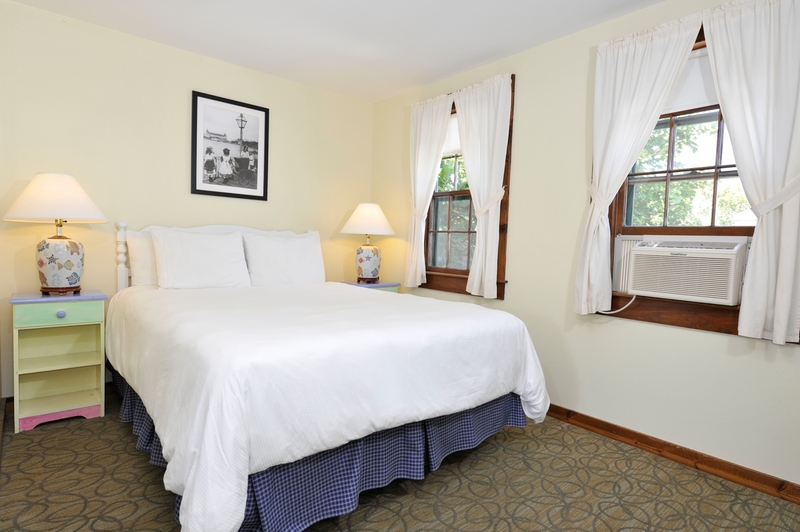 Truly, as many guests know who visit year after year, the Pequot is a well-situated, clean and comfortable, highly personable, quintessentially “Vineyard” spot to come home to after your days of biking, beaching, shopping or just wandering the twisting lanes of gingerbread cottages that surround the hotel and Oak Bluffs neighborhoods.